Wes and his first Blue Marlin! 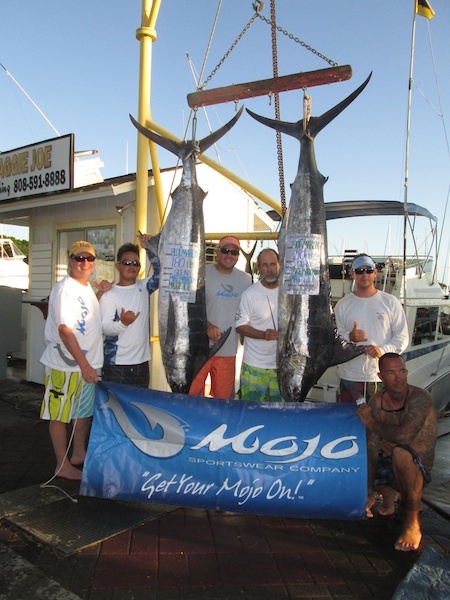 Big Mahalo to Wes for choosing Maggie Joe Sport Fishing! 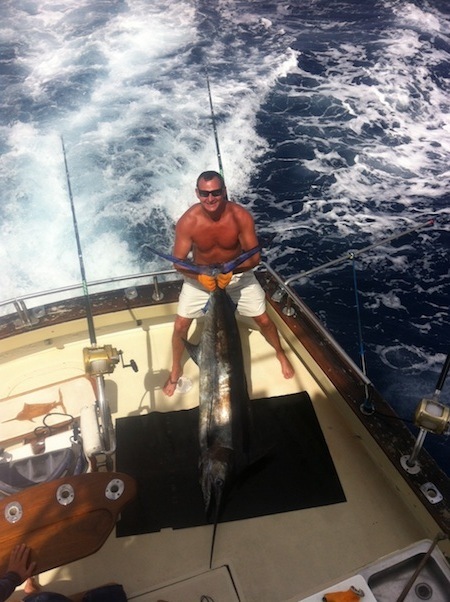 He joined Captain Mike aboard the Maggie Joe on a sport fishing charter. 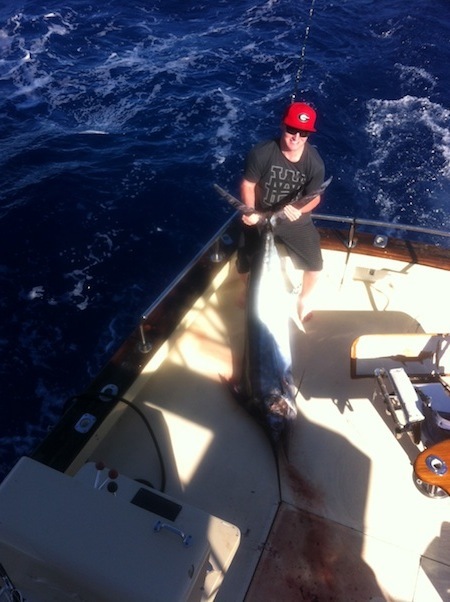 It was a great day as Wes hauled in his first Blue Marlin while deep sea fishing off Honolulu, Oahu. Aloha! 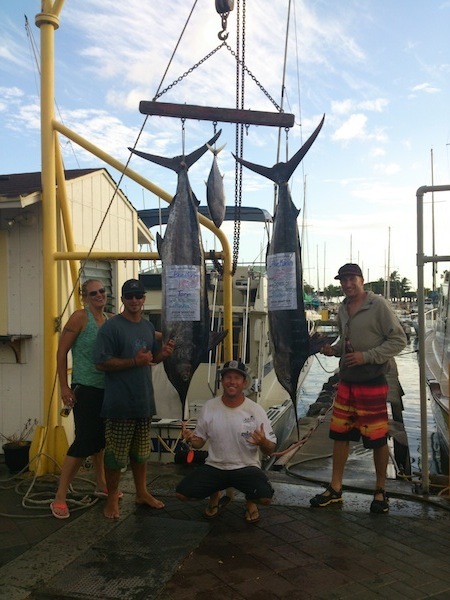 Big Mahalo to Carolyn for choosing Maggie Joe Sport Fishing! 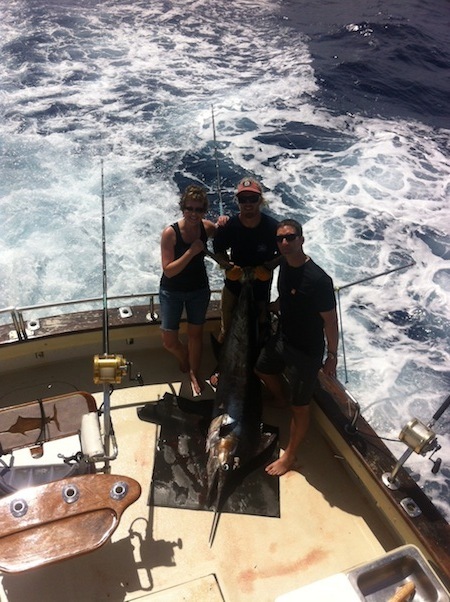 She hauled in a 140 lb Blue Marlin while deep sea fishing off Honolulu, Oahu aboard the Maggie Joe. Aloha! 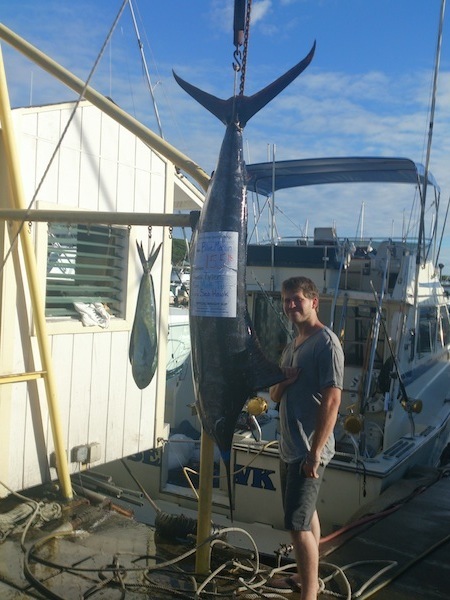 Big Aloha to Josh… as he joined us aboard the Maggie Joe on a sport fishing charter. 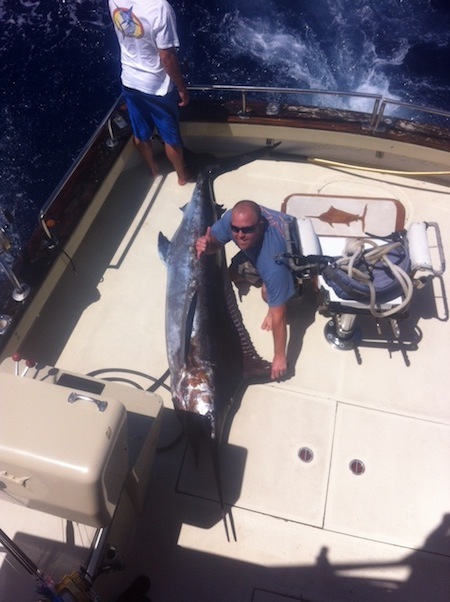 He hauled in a nice 278 lb Blue Marlin while deep sea fishing off Honolulu, Oahu! Hana Hou! Josh and his 278 lb Blue Marlin and the Maggie Joe Crew! 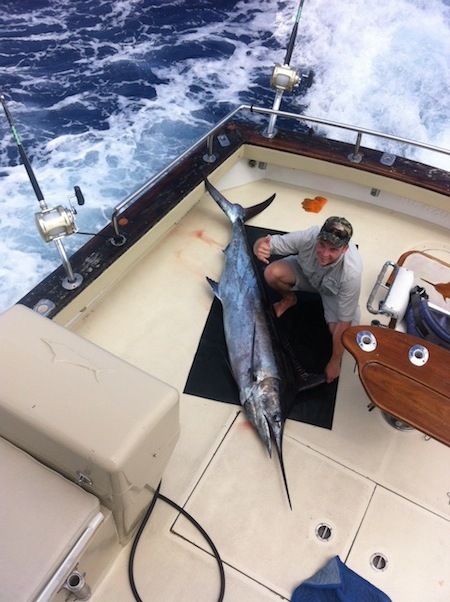 Congratulations to Tim on his first Blue Marlin caught aboard the Maggie Joe! 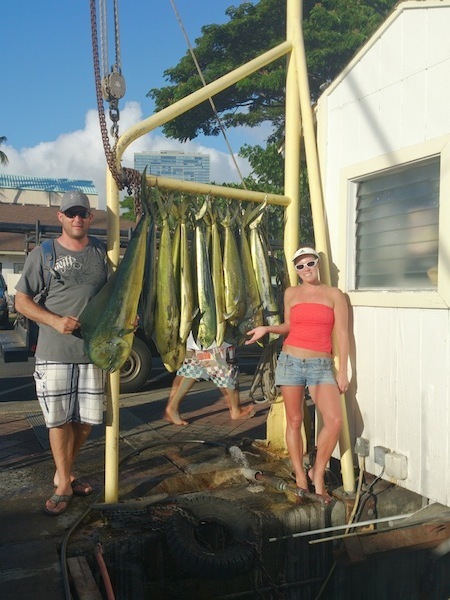 He hauled in this nice fish while deep sea fishing off Honolulu, Oahu with Captain Mike! Aloha! Brian and Jessica with their catch! 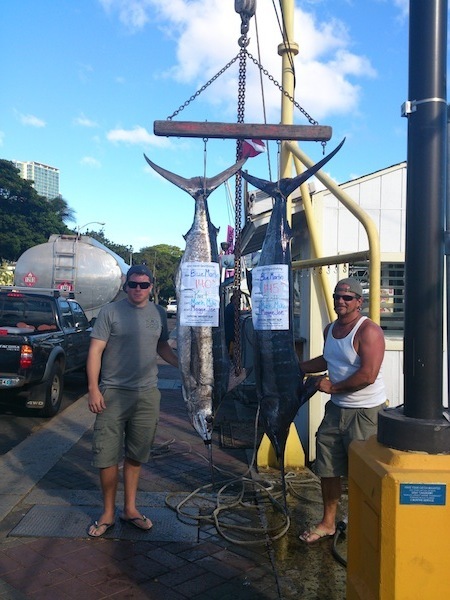 Mahalo to Scott and Kurt for choosing Maggie Joe Sport Fishing! 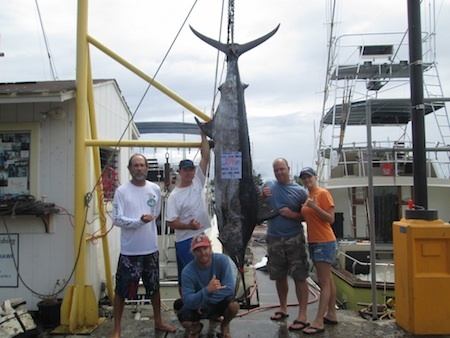 They joined Captain Mike aboard the Maggie Joe on sport fishing charter. The action was fast and furious as they both hauled in a pair of Blue Marlin’s while deep sea fishing off Honolulu, Oahu. Aloha!